The Missionaries of Africa are a Roman Catholic religious community of men serving in 23 countries on the continent of Africa. A missionary commitment calls for a desire to serve and a strong spirit of solidarity and fraternity. Above all, it demands clear-sightedness and courage. Joining in the mission of the Missionaries of Africa is not a career choice but a calling from God that matures over time and requires serious formation. 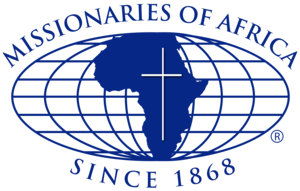 Click Here to contact the Missionaries of Africa for information about joining the religious community of the Missionaries of Africa.